Most babies and toddlers will experience nappy rash at least once- according to the NHS up to a third will have nappy rash at any one time. It really is a common problem that all parents will experience. Here are a few tips on how to prevent it reoccurring and what to do if your little one is suffering. One of the main causes of the problem is wetness. A baby’s bottom, unfortunately, has contact with wee and poo on a daily basis. This is unavoidable. Your baby is especially at risk after a bout of runny poos and diarrhoea because the liquid spreads over a wider area and it is happening more frequently. Not changing your baby frequently enough can also make the rash appear quicker, especially if it’s a poo. Sometimes it is hard to find a place to change your baby when you’re on the go so don’t feel too guilty if you have to wait before changing them. Not cleaning the area thoroughly before putting on the next nappy. I know from experience that some poos just seem to go absolutely everywhere! Certain types of soap, detergent, bubble bath etc that come into contact with your babies delicate skin may cause the reaction. Alcohol-based baby wipes may be making your babies skin more tender. Antibiotics are also a cause of nappy rash- this happened to our daughter when she was on penicillin (it seemed a combo of the drug and the poo being looser that led to the nappy rash). Teething is quite often cited as a cause of nappy rash- again possibly through the poos being looser or just as a symptom in itself although it is not medically recognised as a cause. How can I help to prevent nappy rash? 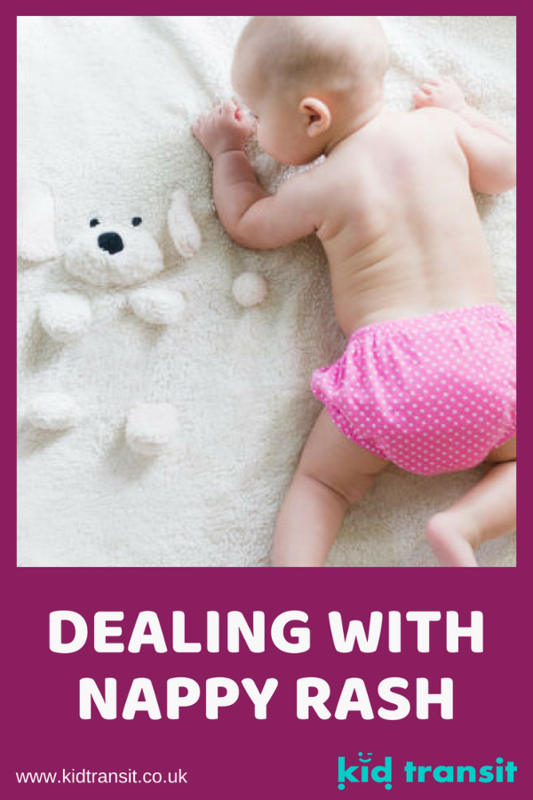 If the cause of nappy rash is mainly wetness, the best defence is a dry bottom. A good way to do this is to change your baby’s nappy regularly and as soon as possible after they’ve done a poo or a wee. Whilst you’re changing them, be sure to clean the area thoroughly but still gently, especially after a poo. Make sure that you always have a travel changing mat and supplies with you when you’re out and about. 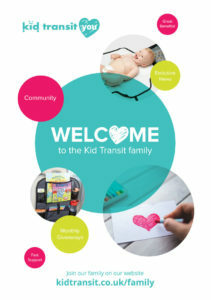 We wrote a whole post about changing your baby when you’re on the go. 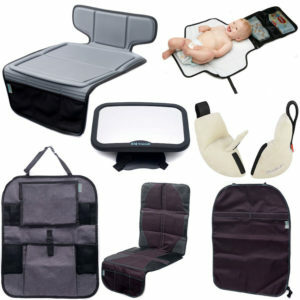 Our travel changing mat is lightweight, portable and clips to the side of your pram or changing bag. This makes it perfect for grabbing when your baby needs changing quickly. It also has a detachable bag to store wipes and creams. Try to use alcohol-free wipes as much as possible if you think this might be causing the rashes. Steer clear of talcum powder. It will only cause more friction and irritate the skin. Lastly, make sure that your baby’s bottom is well aired. Give them as much nappy-free time as possible. We used to do this for every nappy change (if at home) and then a good half hour before bath time. Help, my baby has nappy rash! How do I treat it? Don’t panic, it usually clears up after 3 to 4 days and even though it can look really red and angry it is usually easy to heel. Make sure you’re following the tips above especially in regards to changing after every wee and poo. In addition, put on a barrier cream to help soothe the redness and prevent the wee and poo from coming in to contact with their skin. This just needs to be a thin layer. Be as gentle as possible as the area will be really sore. Nappy-free time is always good when trying to recover from nappy rash. However, if they do have to wear a nappy, invest in some super-absorbent disposables to limit the amount of wetness that is in contact with your baby’s skin. If the nappy rash doesn’t go away after 3 to 4 days or is really causing your little one discomfort, contact your health visitor or doctor. They may prescribe you a stronger cream or even antibiotics, depending on the cause. Do you have any nappy rash solving tips? Share them in the comments below, or on our Facebook and Twitter pages.